A little afternoon delight for you. Not too long, not too short. Tonight, I'll be attending my FIRST EVER nail networking event. Actually, it's really my first nail-related event ever. When you don't live on the coasts, you're not exposed to as much, so events aren't as common. Luckily, a reader told me about this event on Twitter a while ago, and tonight's the night! In attendance will be nail techs and students from the area interested in networking about all things nails. Sponsors for the event include Elegant Glass, Famous Names, Frenchies Modern Nail Care, and Nail Talk Radio. If you're going, you can find me by looking for these nails! The colors for the gradient are both OPI - Where's My Czechbook? and My Vampire is Buff. I love this look! It's really pretty. I like these nails a lot and I have never seen anything like them. I love how they have two very light colors that are blended together in the middle. They also have black added on the sides in a pyramid shape. The Tribal Beach Gradient nails definitely represent a beach vibe because they are calm looking and include a beautiful blue. 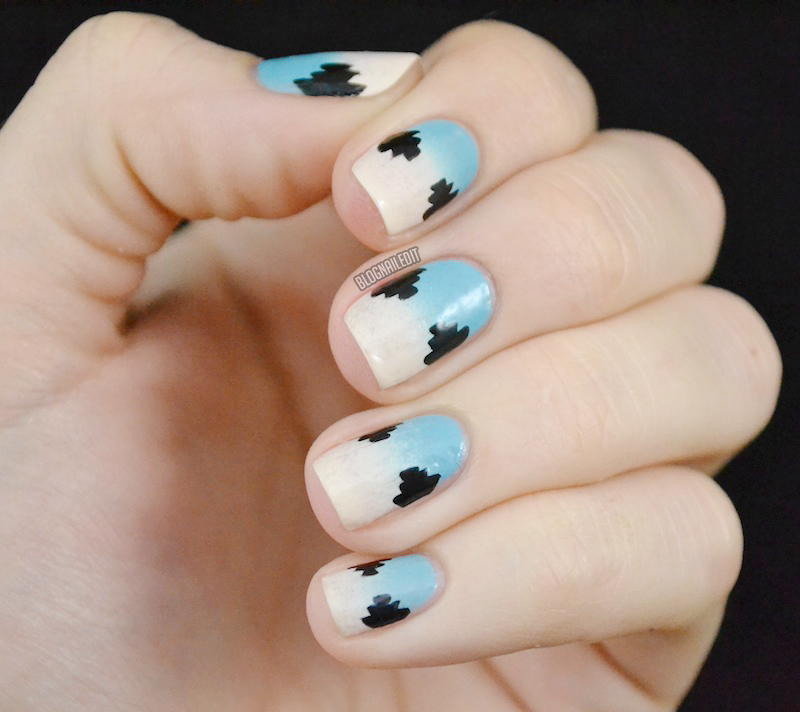 The white on the tips and the black pyramids contrast each other and make the nails look fun and exciting. The only part that I don’t understand how to do is, blend the two colors in the middle. I would try to do this design on my own nails eventually and I will post a picture of them on my blog, Brittany.donald.blogspot.com.